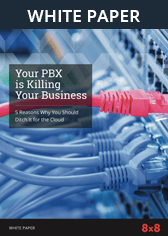 E-Rate Process | 8x8, Inc. The E-Rate program can be generous to schools, but it requires planning and attention to deadlines. Applicants should review E-Rate program process and requirements at the USAC website, but here is a summary. 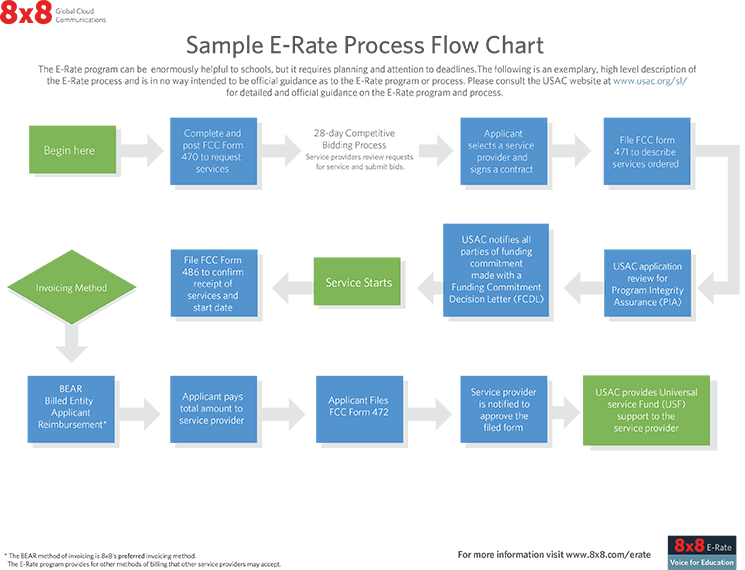 Click here to view a larger image of the E-Rate Process Flow Chart. Participant will determine requirements and program eligibility, and will begin competitive bidding by filing a 470 application online . USAC’s requirement is to wait 28 days after posting the form before closing the bidding process and selecting a provider. Participant will review all bids and proposals received and select a service provider. The provider selection is made based on an evaluation, which may follow USAC’s bid evaluation matrix. USAC will issue a Funding Commitment Decision Letter (FCDL) to applicants and providers once a decision is made. Establish service start date once the service begins. Participant must file FCC form 486 notifying USAC that the service has started. Be sure to timely file in accordance with requirements. USAC will confirm receipt of Form 486 by issuing Form 486 notification letter. Participant will pay the provider in full within payment terms and request reimbursement for the discount online direct from USAC using the FCC BEAR Form-472 (Billed Entity Applicant Reimbursement). 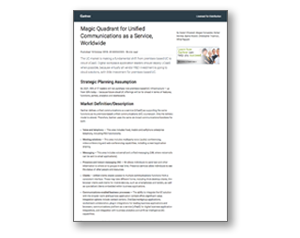 Your school gets the services they need to thrive in the 21st century.